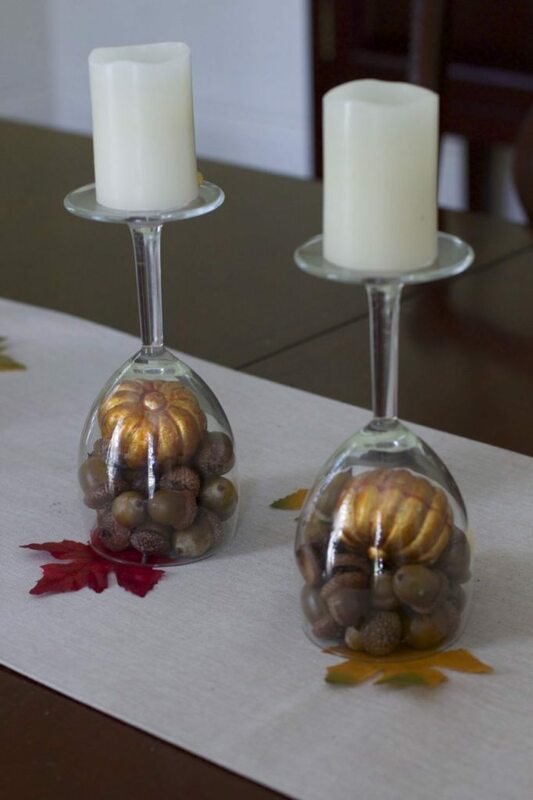 Now that you are thrilled about the Fall Decor Ideas, here is the tutorial on how to preserve Acorns. Gather up as many acorns as you can find. 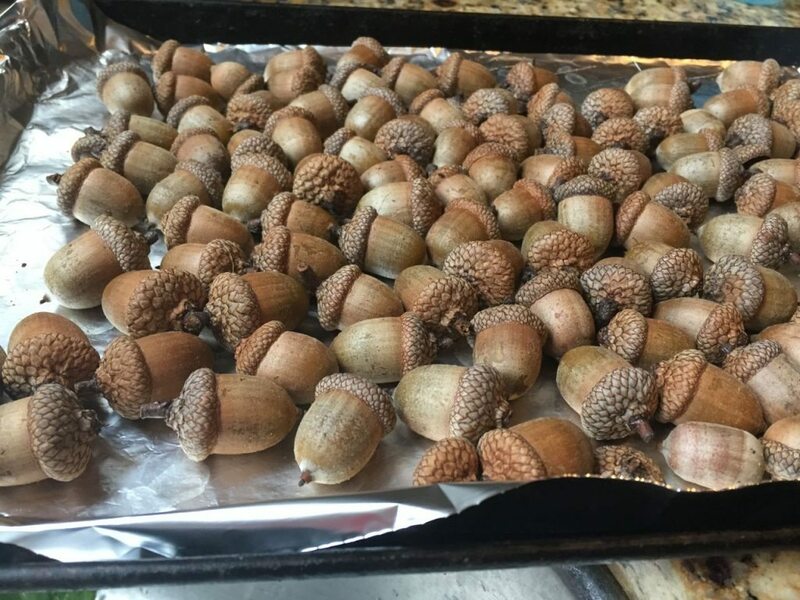 Be sure to go thru your box of acorns and dispose of any that already have holes or are broken. Wash the dirt off the acorns, this was easy for me since it had rained the day before. Place them on a cookie sheet, lined with tin foil and bake at 200 degrees F for 2 hours. I set the timer every 30 minutes to shake the tray so they don’t burn onto the sheet. 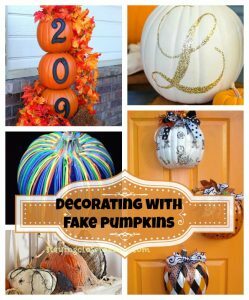 Allow them to cool completely and then spray with a clear coat spray . We used a satin variety so it has a little shine. 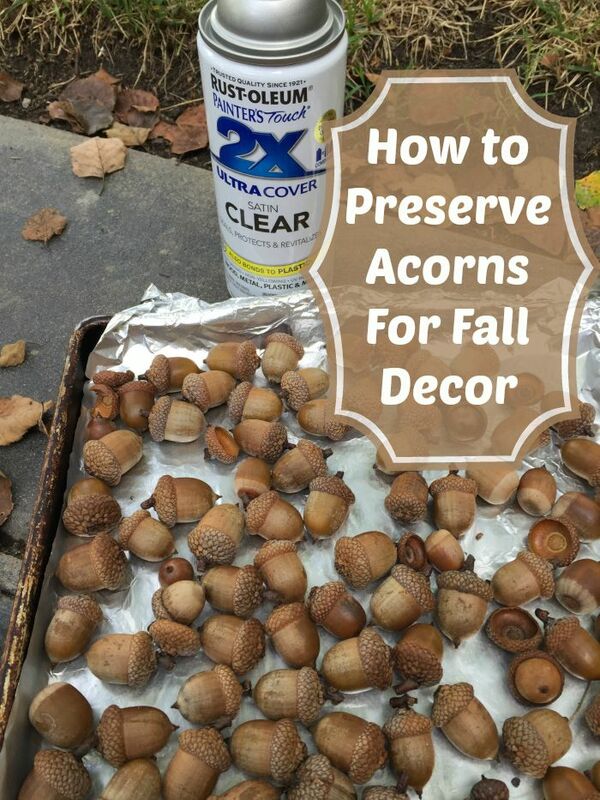 Allow to dry and turn over the acorns and reapply the spray. 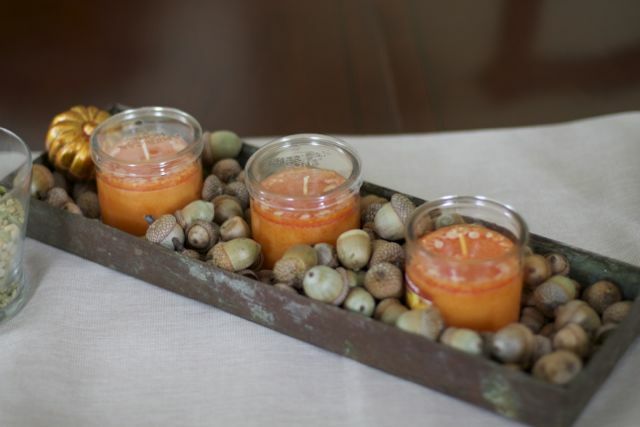 After applying spray to both sides, allow acorns to dry completely and now you can use them in your fall decor. If any of the tops fall off, you can always hot glue them back on or use them in separate craft projects. 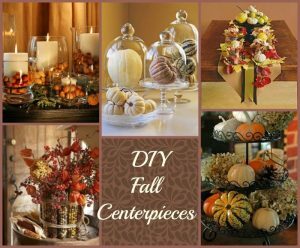 I did not preserve these but here is an easy way to display a few candles on a table for a great fall centerpiece. 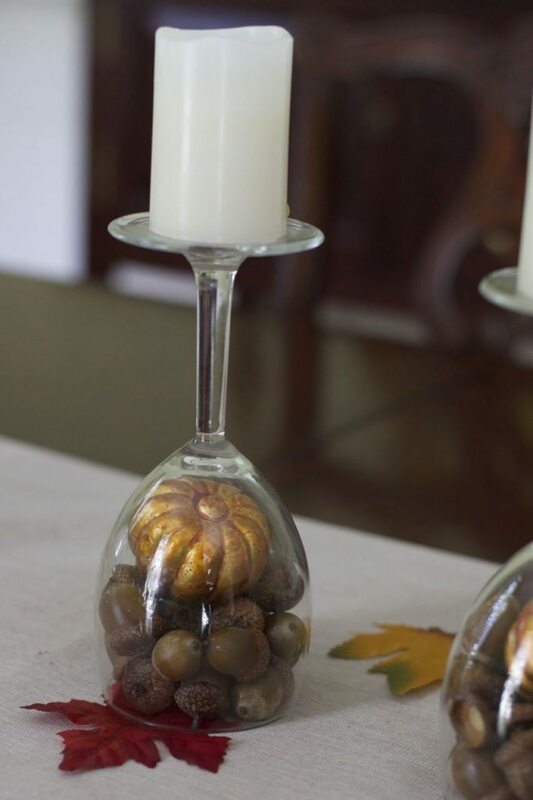 Fill some wine glasses with a mini fake pumpkin and several acorns, turn over and add a candle. 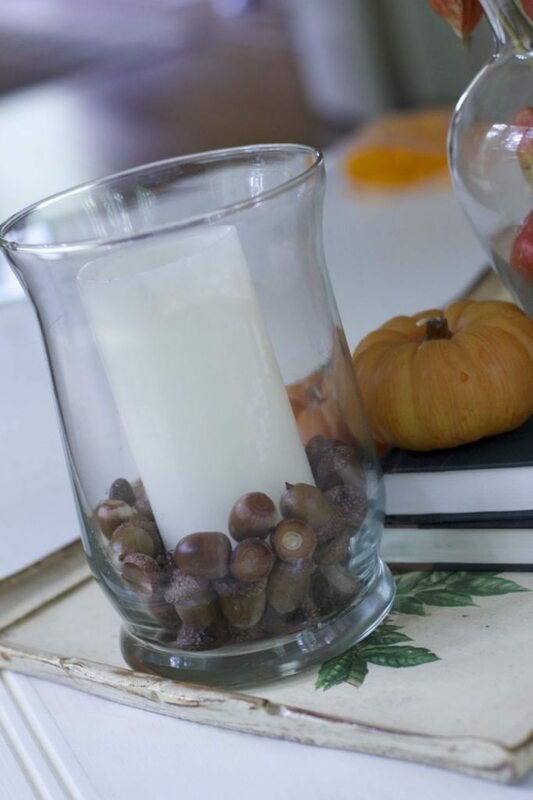 Fill any glass jar with acorns and candles. I like to use electric candles so they don’t drip any wax onto the acorns. 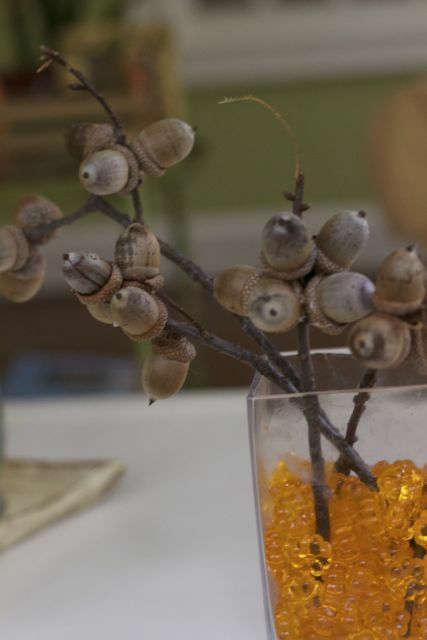 If you are lucky to find some acorns still attached to the twigs, remove the leaves and place them in a vase for a fun arrangement. When my dried they fell off so you definitely want to hot glue them on. 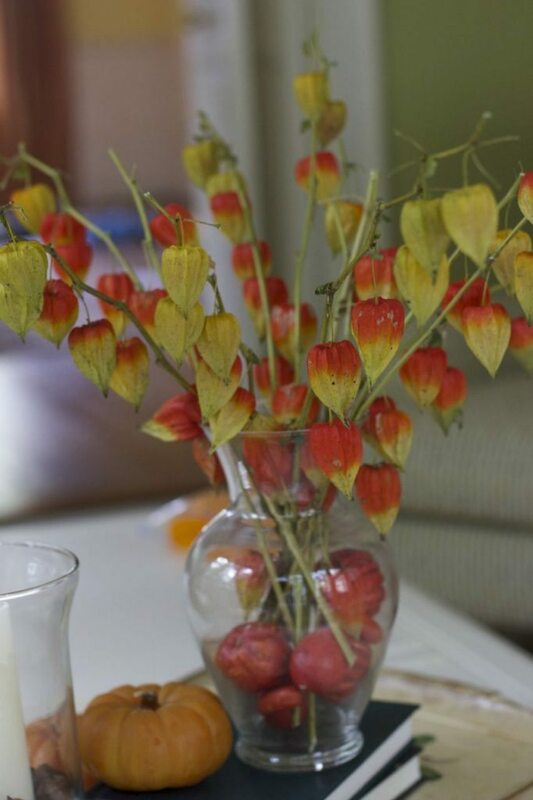 I also dried some Chinese Laterns I grew which also add wonderful Fall Colors into your fall decor. 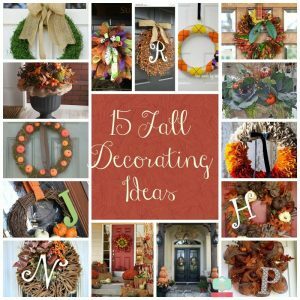 Whatever you chose to do to create a warm fall atmosphere in your home check out these other Fall DIY like this Decorating and Preserving Acorns for Fall Decor or Easy DIY Fall centerpiece post. 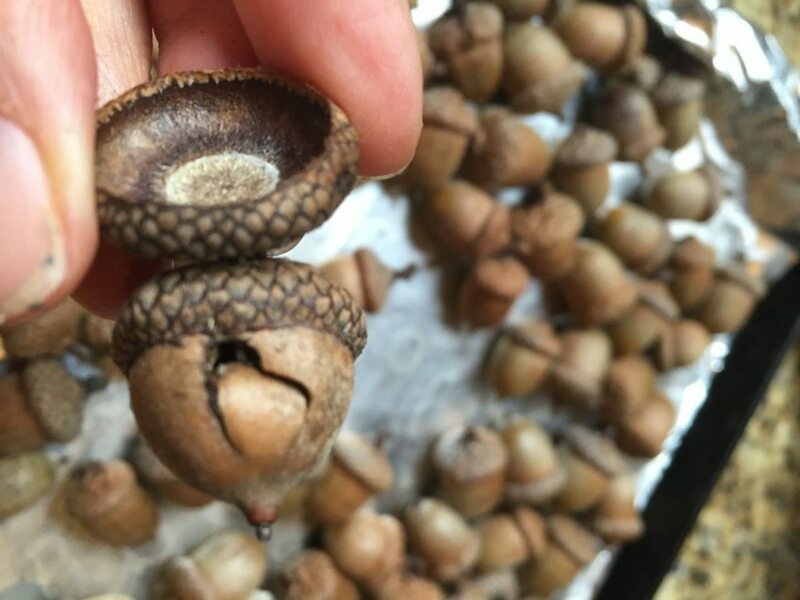 Will you be preserving acorns this fall?